When my husband Ward and I started dating I was 42 years old and he was 29. Yeah, I have a trophy husband. We eventually wanted a child. We briefly explored fertility counselling, but after I cancelled our introductory appointment with the clinic—twice—I had to explain to Ward that I didn’t want to be pregnant. A biological child wasn’t important to me. Understandably, it took a while for my husband to come to terms with the fact that adoption would be our path to a child. We couldn’t afford to adopt internationally so we decided to go the route of state adoption. It was simple really: we wanted a kid and the state had free ones through their foster-care program. We attended their classes and entered into the Byzantine world of state adoption. What followed was months of excruciatingly close calls and near misses: we kept hearing about children who might be available for adoption—but turned out not to be. What? Hadn’t we made it clear the biggest disability we were capable of handling was a child who was left-handed or colour-blind? We were first-time parents and we weren’t sure of our skill set (of course you don’t need a skill set, you just need to love your child, but we didn’t know that then!). “Did she say Down syndrome?” I asked Ward. “We better listen to that message again,” he said. We played it six or seven times, until we were absolutely convinced she had said Down syndrome. “I don’t know why, but that doesn’t bother me,” said Ward. We were silent for a few minutes. He was right. Everyone in foster care—and really in life—has something that makes them more vulnerable. We talked a little more and realized there must be a reason we both felt this sense of calm. It wasn’t logical. It wasn’t planned. Something had happened that made us calm. We decided to trust it. That was the extent to which we considered Down syndrome at that moment. I called Cathy back and told her we were interested. Then I started researching online. Googling ‘Down syndrome and adoption’ brought up mostly Christian adoption websites. Many people who choose to adopt an infant or child with Down syndrome do so as a part of their religious practice. That wasn’t us. I was shocked by one fact I learned in my search: upwards of 90 per cent of women who discover they’re pregnant with a fetus that tests positive for Down syndrome abort. I had no moral judgment about their decision. I did, however, find it interesting that we were considering an option most people would reject. I called a couple of friends who I remembered talking about families they knew with a child with Down syndrome. Without exception, the first thing anyone talked about was grief. These stories were essentially the same: they were about parents not getting the child they had planned on—the one without Down syndrome. “What about who he is?” I wanted to say. I’d known about our kid—as I’d started to think about him—for only a few weeks then, so I was surprised that what she said made me angry. I was already feeling protective. These reactions got to me and I started questioning things. I shared my concerns with my husband. He wasn’t moved by any of it. But I just couldn’t stop. 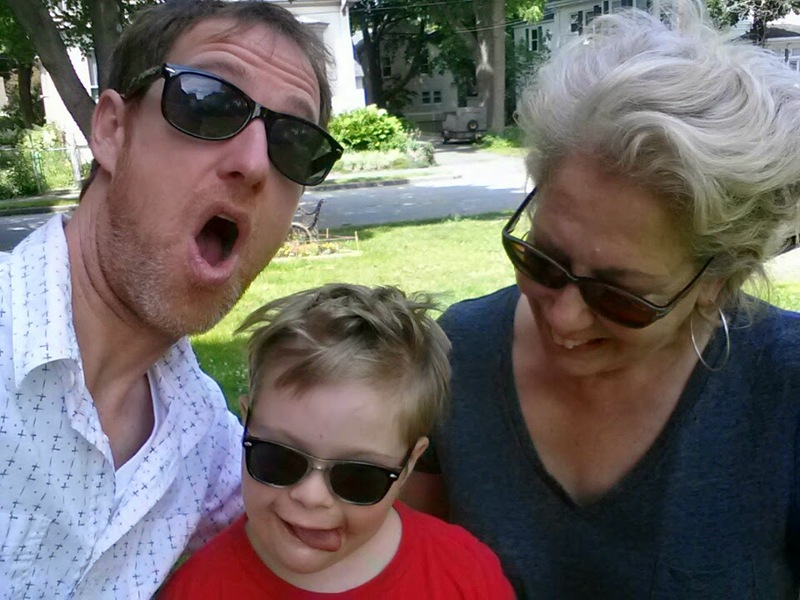 Every few days I had some new tidbit of negative information about what to expect when you’re adopting a child with Down syndrome. The last straw was when I told Ward that I’d talked to a woman who said she and her husband still changed their son’s diapers—at age 13. That was the heart of the matter. This boy wasn’t just any boy. This boy would be our son. “Hearing all of these doubters and reading the information is frightening,” I said. “So stop listening to it, kid,” Ward replied. And that’s exactly what I did. I stopped my online searching. I stopped listening to other people’s fears, anxieties and doubts. Instead, I began to wonder about the emotional life of my son, who I hadn’t yet met. 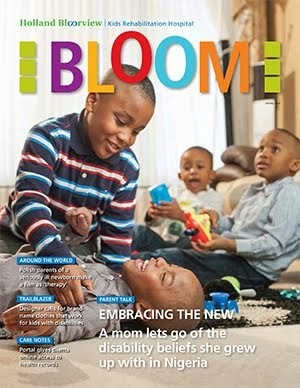 Children in foster care don’t get there by having stellar families. I thought a lot about how we might help our son overcome his own feelings of anxiety and fear and loss. A social worker who was a 20-year veteran of state adoptions told us early on in the process: "You get the one you’re supposed to." This post is a compilation of pieces originally published on Kari Wagner-Peck’s blog A typical son. She’s now homeschooling her son Thorin (in photo above centre, with Mom and Dad), who became part of the family at age two and is now eight. Kari has a master's degree in social work and is a freelance writer and development consultant. She and her family live in Portland, Maine. I just felt chills reading this.. when you wrote about feeling calm. You guys and your son are so lucky and smart to have found each other! What a touching story that brought tears of joy to my eyes. A beautiful story of love and acceptance. Thank you for sharing this with us. What a lucky family you are to have found each other and how courageous of you both to not listen to all of the negativity and go with what felt calming. I am a Social Worker and I love this story! So amazing you wwere able to listen to yourselves and trust those strong positive feelings despite the nay sayers. It takes alot of inner strength to deflect those negative comments and you both obviously have that in spades. Not to sound cliche, but you are extraordinary and unique and have alot of important lessons you have just shared with the world. It is no coincidence you have an amazing son!! Just lovely, and great writing, too...I remember doing a new parent visit with a family who had adopted a little girl with Down syndrome - they had waited for her for a very long time, and were SO excited. They just needed information about resources and there was absolutely no tinge of grief in that visit - as there normally is when I meet with a new family - there was only joy. We found out that our baby girl had Down syndrome when I was about 15 weeks pregnant. Reading about the 90% that would terminate in that same situation scared me a little, pretty much for the same reason. Now, almost 4 years later, the fear is gone, and we adore our daughter. Thank you for sharing your story. My daughter is 4 and has a very rare genetic disorder--signs of "something" were detected in utero but the genetic condition took two years of genetic testing to diagnose. I find your story so compelling because you weren't looking for a child with a disability to adopt, but he was the right child for you...and you knew it. Just the way that had I been told what my daughter would face I would not have looked for this life, but she is the best thing that has ever happened to me. By far. She was the right child for me...and I knew it. You do have a "Trophy" husband.....and you are a "Trophy" wife and mom!! As usual, you have moved me! You have such an amazing story to tell. What you said about us all having "something" made me think about what another blogging friend said once: "We ALL have special needs." It's so true. No one person is the same as another. We all have things at which we excel and things that are difficult for us. You and Ward are wonderful parents, and I know your son got the parents he was supposed to as well. Thank you for sharing!